The world’s full of fulfilling travel destinations, but, trust me on this one, there’s none quite as impactful as Kyoto. The highlights of former imperial capital of Japan are surreal in their beauty. It’s not just a worthy must-see for any trip to Asia, but a must-visit for one’s life. If that sounds dramatic (and it was meant to), it’s only to emphasize how truly unique Kyoto is among the world’s best places to visit. While every inch may not inspire you, it’s hard to leave Kyoto with anything but a newfound appreciation for travel & a renewed sense of the beauty that awaits elsewhere. Like much of a Japan, Kyoto is a true four-season destination in every sense. Summers fall into the typical Japanese/Asian pattern of unrelenting heat & humidity. Winters, on the other hand, are quite a bit cooler than most of the rest of the continent. Overall, the best time to visit Kyoto is in the spring or the fall. In each of these seasons, you’ll experience milder and drier weather than in the height of the hot & wet summer. The end of March and early April is a particularly beautiful time to go to Kyoto as the city becomes blanketed with the soft hues of pink & white cherry blossoms (sakura). November is also a spectacular time to visit with Kyoto’s fall colours hitting their peak around the middle of the month. Kinkaku-ji: Once you’ve seen it, it’s impossible to shake the image of Kyoto’s most famous temple reflecting its golden façade into the pond below. For an extra special visit be sure to visit Kinkaku-ji in autumn to catch it under the shade of orange, yellow, and red leaves. Fushimi Inari-taisha Shrine: One of Kyoto’s most spectacular sites, this early-16th century shrine beguiles visitors with its famous set of over 10,000 vermillion gates. 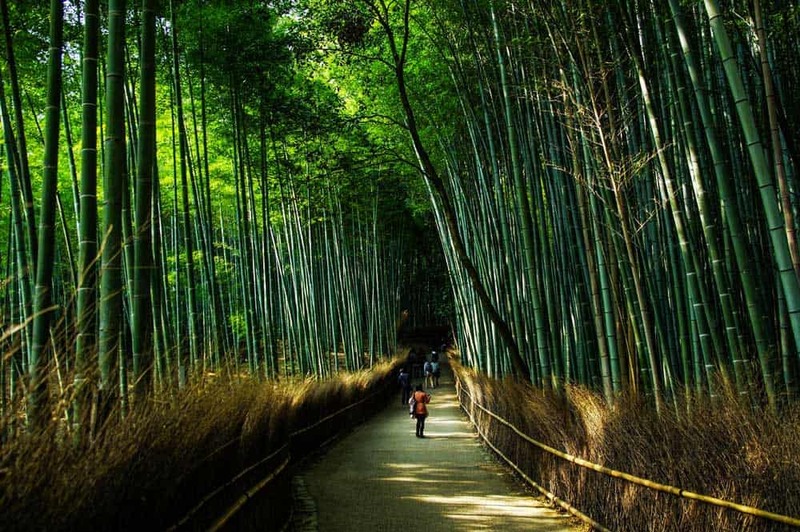 Arashiyama Bamboo Grove: If the bustle of Kyoto becomes to much to handle, escape the city to the quiet district of Arashiyama to take in one of Japan’s most iconic scenes. A walk though this otherworldly bamboo forest is an absolute must while visiting Kyoto. Kiyomizu-dera: Peering over the historical Higashiyama district, this famous temple dispenses some of the most famous city & mountain views in Kyoto. If you can, time your visit in the evening to catch the temple at its most breathtaking. Nishiki Market: Since this is Japan we’re talking about, don’t leave Kyoto without munching on some of the city’s top delights in this historical market. Although famous for its desserts, don’t miss out on trying local Kansai favourites like takoyaki (fried octopus balls) and okonomiyaki (savoury pancakes). Want to put together all these top Kyoto attractions? Check out this complete itinerary for one day in Kyoto! Kaiseki: A multi-course Japanese haute cuisine that originates in Kyoto. Each dish is painstakingly crafted by experienced chefs with only the freshest of ingredients. Nishin Soba: A unique take on soba (buckwheat noodles) that uses herring as its protein source rather more common ingredients like pork, duck or tempura. Tonkotsu Ramen: Although it didn’t originate in Kyoto, this ramen, cooked up a rich pork-based broth and topped off with tonkotsu pork slices, is absolute delight—in any city in Japan. Green Tea Desserts: Wherever you roam in Kyoto, you’re bound to find sweets fashioned from various green tea products from ice cream to shaved ice to donuts. Sushi: It might seem odd to suggest eating sushi in a landlocked city, but that’s the whole reason that its a must-try in Kyoto. Over the years, Kyoto’s location meant that fish mongers had to develop innovative ways to keep their seafood products from spoiling such as using salt & vinegar. One of the most famous in Kyoto is saba sushi featuring mackerel that’s been salted and marinated in vinegar. 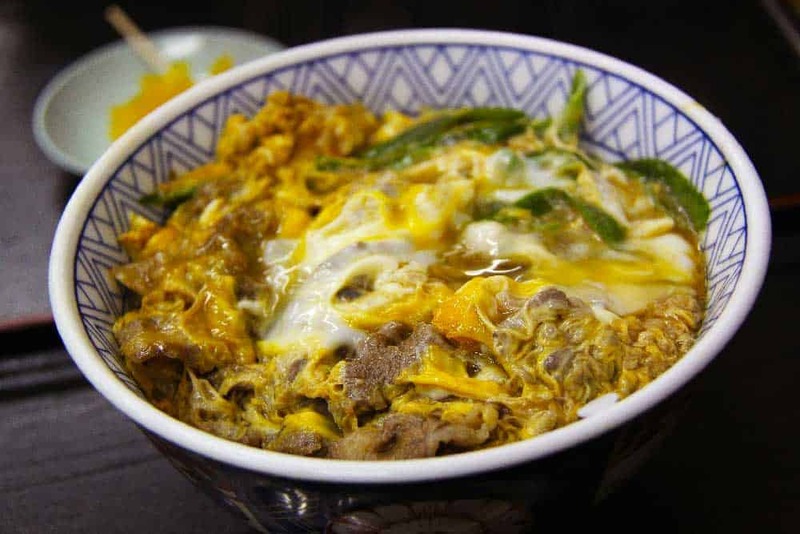 Obanzai: These small servings of food, often vegetables, served as a starter are a wholly local innovation. Popular obanzai dishes include daikon radish, eggplant, turnips, and carrots. 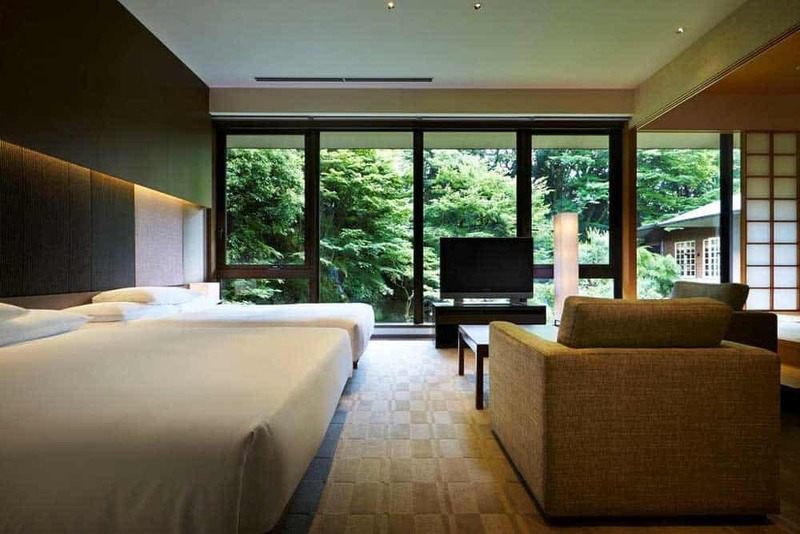 As the city is one of the most popular destinations in Japan, there are plenty of options for where to stay in Kyoto. Accommodation prices, as you might expect, are on the higher end of Japanese standards. Gion: A central district famous for its geisha culture. Gion District also hosts some spectacular scenery such as Shirakawa Minami-dori, a street that under a blanket of spring cherry blossoms is one of Asia’s most beautiful. Higashiyama: A hilly district south of Gion that’s among Kyoto’s most atmospheric historical areas hiding teahouses, parks, and temples including Kiyomizu-dera, Kennin-ji, and Kodai-ji. Nakagyo: The geographic centre of Kyoto, close to some of its top-rated attractions including Nishiki Market, Nijo Castle, and Pontocho. Quite possibly the best area in Kyoto for foodies. Shimogyo: The southern part of the centre and home to Kyoto Station, the city’s main transport hub. 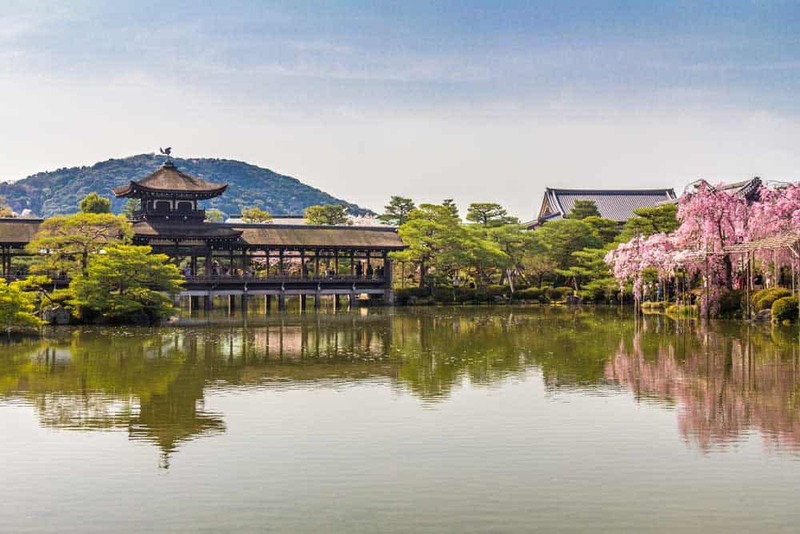 There’s a handful of great places to visit here from temples to gardens, but the real reason to stay here is for quick access to some of the best day trips in Kyoto. By air: Kyoto is served by Kansai International Airport (KIX) and Osaka International Airport (ITM). Most international flights will arrive via KIX while flights from within Japan will use ITM. Some of the most popular airlines flying to Kansai Int’l Airport from destinations abroad include All Nippon Airways, Japan Airlines, and Peach. By train: If you’re already in Japan, there’s hardly a better way of getting to Kyoto than by train. If you’re planning to undertake a couple train journeys in Japan, you’ll often save a ton of money by buying a Japan Rail Pass. Sample destinations, times and fares include Tokyo (3h32m, ¥4,100), Osaka (1h30m; ¥410), Nara (45m; ¥710), and Hiroshima (2h41m; ¥11,650). Although travellers will often spend much of their time exploring by foot, learning how to get around Kyoto is a cinch. The transportation system in Kyoto is both easy to navigate and efficient. By subway: Like in most cities in Japan, the easiest way to get around Kyoto is by subway. There are two subway lines, running roughly north-south (Karasuma Line) and east-west (Tozai Line). 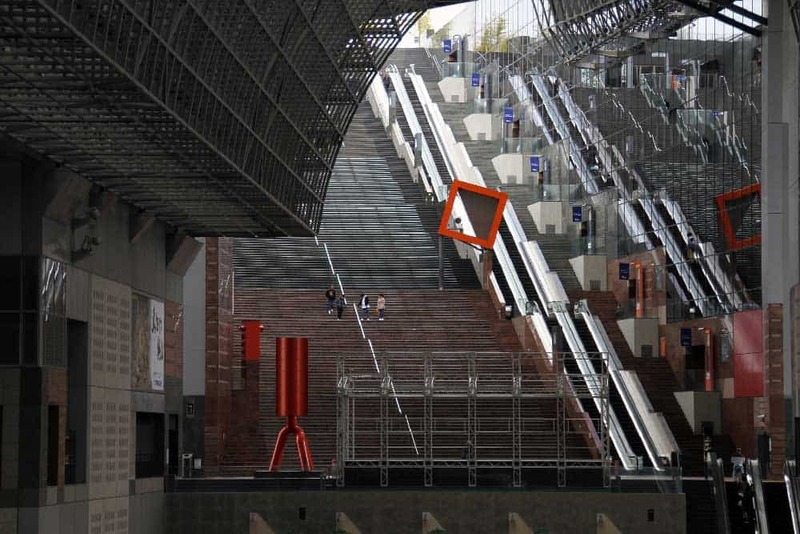 Most of the top things to see in Kyoto are within walking distance of stations on these lines. By bus: Even though the extensive Kyoto bus system will get you anywhere you want in the city, they are far less user-friendly for non-Japanese speakers to navigate than the subway system. If you simply must take a bus, be sure to know exactly which one to take and where to get off. By bicycle: With the city’s flat terrain and extensive network of bike paths, cycling in Kyoto is a legitimate and pleasant way of scooting around town.